Vintage multicolor plastic picnic set. Service for 6 plus red serving tray. 6 each of: cup, dinner plate, salad plate, bowl, fork, spoon and knife. One of each in: blue, green, yellow, orange, red and white. Plastic spoons, forks and knives are white. 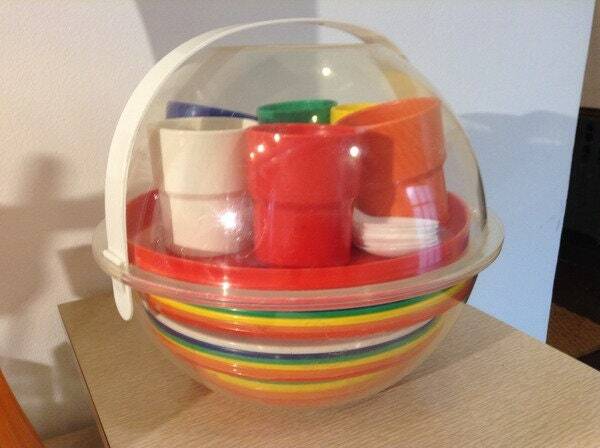 Entire set fits in clear plastic globe with handle. Set is in excellent condition, but there are scratches and scuffing on plastic carrying case.